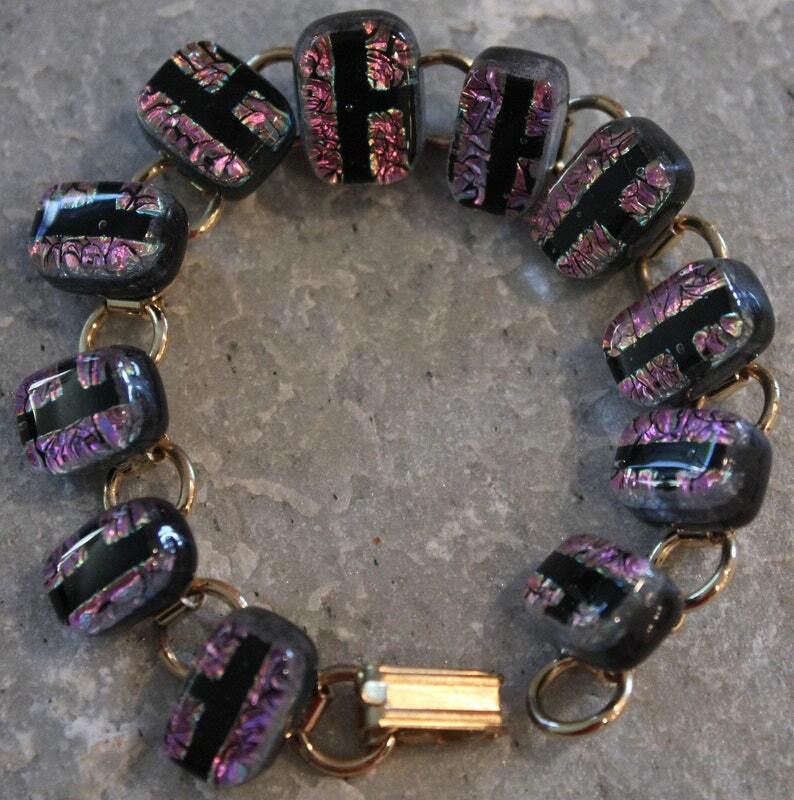 This Dichroic Fused Glass Bracelet is a one of a kind work of wearable art. I use only the highest quality materials and make each piece in my art studio in California. I fuse multiple layers of glass together in my kiln. Then with great care and artistry, I shape each unique piece and round the edges before re-fusing the piece in the kiln to give it a fine polished appearance. Each piece is properly annealed for strength and durability. The Dichroic pieces exhibit a vast array of color depending on the angel you view it in. The depth and variance of color and patterns are especially visible when light shines on the piece.